Should You Use a Catering Service For Your Engagement Party? 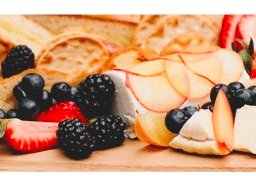 Home Featured Posts uncategorized Should You Use a Catering Service For Your Engagement Party? Now that you’ve got the ring, it’s time to celebrate! Rally your friends and family together and show off that new rock. 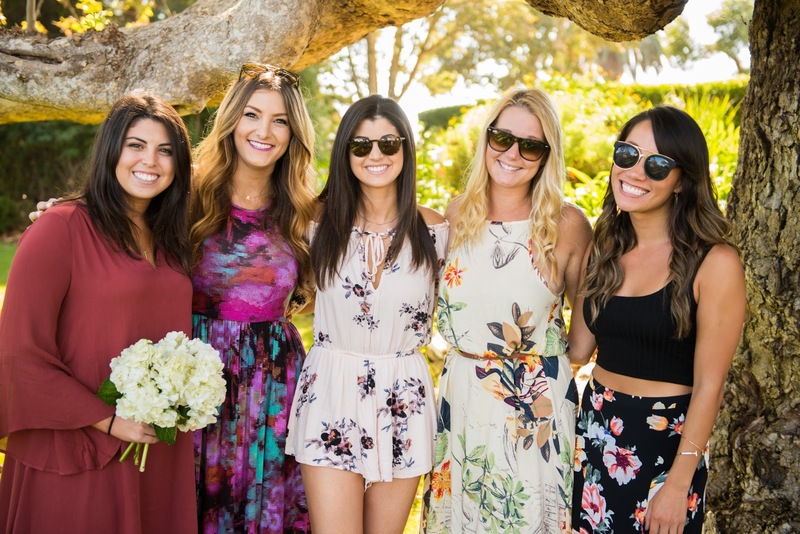 An engagement party typically is a gathering for you to celebrate the love that you’ve found with your significant other and your big decision to spend the rest of your lives together. It’s a fun excuse for you to congregate, eat, drink, and introduce new friends and family before the wedding itself. However, planning an engagement celebration event can be a lot of work so it helps to hire an engagement party catering service to take some of the stress off your plate. There are many benefits to using a catering service. 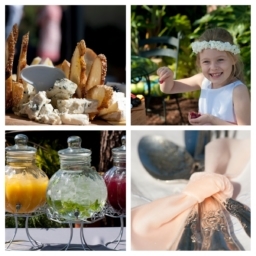 Event catering, in general, helps relieve any worries about the food at your special event and allows you to concentrate your efforts elsewhere. Getting the right catering company for your engagement party means you can relax and focus on making the night about you. A caterer not only helps relieve the stress of planning menu options, but they’re a mine of great new food ideas. They’ll be able to expand your food repertoire in terms of unexpected dishes, a twist on a childhood favorite, or a whole new way to present your dishes. A great caterer will not only provide expertise but also guarantee that the food you’re eating is of the highest quality using the freshest ingredients. 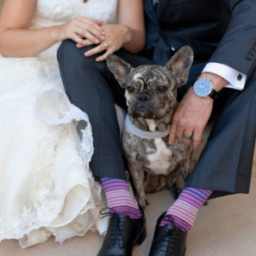 With a wedding on the horizon, there’s every chance that you’re going to be working on a tight budget. 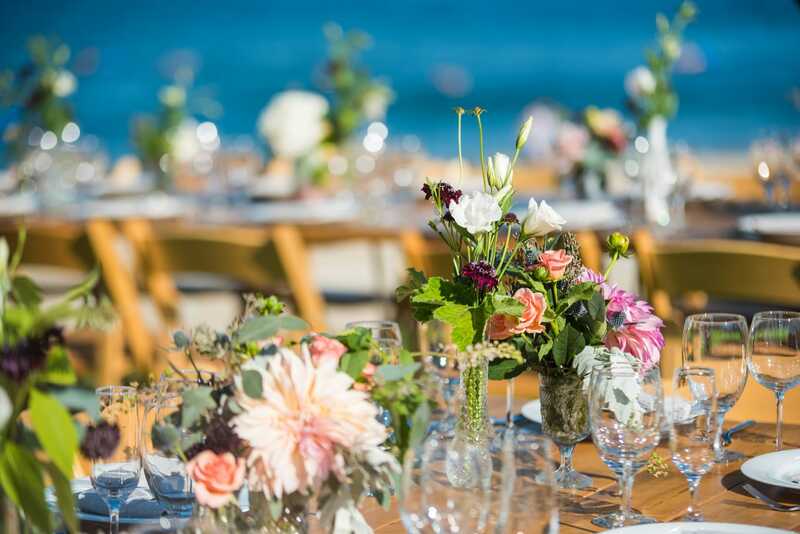 In the past, organic event caterers like Eco Caters have been perceived as expensive among catering options, but did you know that an organic caterer worth its salt can actually save you money? For a start, great caterers have solid relationships with growers and suppliers to know where to purchase premium ingredients for good price. In addition, experienced party catering services keep a close eye on portion control (in their planning and serving) to guarantee that your guests enjoy hearty helpings down to the last plate, but without the food waste. In our book, that’s a recipe for happy guests and a happy wallet as not a single dollar is squandered. Hiring a caterer also shows your guests that both they and their time matter. By giving them handmade, delicious and inspired food, they’ll not only feel deeply appreciated but it will leave them with a great lasting impression of you as a couple. In the long run, hiring a catering service helps to give you insight into unique food ideas, as well as save you money, and make your guests feel loved. There are many different types of catering that offer delicious food on their catering menu, and as many different prices. The three most common are takeaway catering, buffet catering, and sit-down catering. work best, both for your budget and your bellies. You simply coordinate with the caterer as to what foods you like and how many guests you’re catering for, then on the day of your party, your caterer will prepare the food for delivery or pickup and away you go. Note that there won’t be staff present to replenish food or assist your guests, this will be up to you. 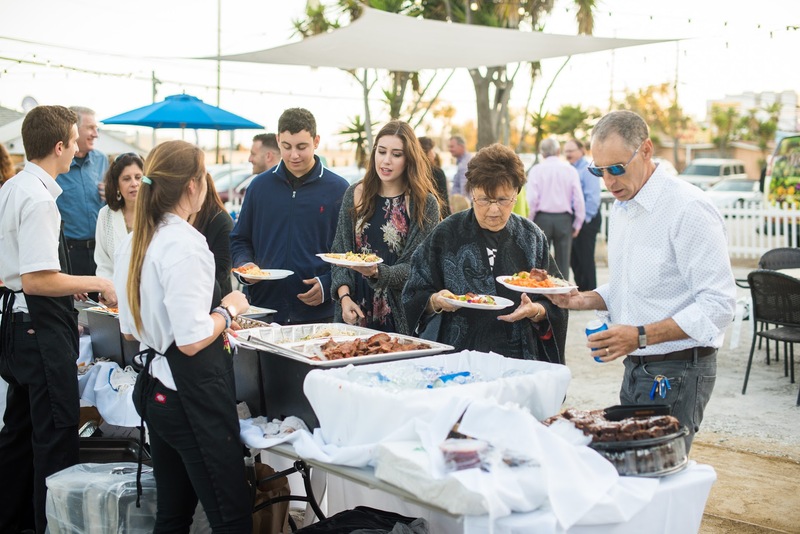 The most commonly-used catering option for engagement parties is buffet catering, which offers abundant food and free picking for your guests. A staff member may be hired to refill the empty trays, but it’s not always necessary. Another option is sit-down catering. This is typically used at the wedding itself but can also be used for your engagement party. Just know that it does come at a price as it involves hiring a full complement of staff. However, sit-down catering is great for enabling friends and family to gather around a table and get to know one another before the wedding. Although sit-down catering usually serves full course meals, your caterers should be happy to serve whatever food your hearts desire. A non-traditional form of engagement party catering is food trucks. Food trucks give a unique touch to the party and are a fun way to serve food to the guests at your party. The set up and take down for food trucks are also easy as the chefs will stay in their trucks for the duration of the event. Food trucks are also beneficial for outdoor venues where a kitchen isn’t easily accessible. Whether it’s a full course meal or fun items from a food truck, proper catering helps make any engagement party a success. These are small foods that are easy to carry around and serve as appetizers as opposed to meals. Some common finger foods include tiny sandwiches, fruit cups or popcorn balls. A fun way to add some flair to your finger foods is to put them on a skewer–think chocolate dipped strawberries with marshmallows or a more traditional grilled chicken and vegetables. Skewering anything, like corn on the cob, makes it more creative and easier to eat. If you plan to have your engagement party during breakfast, lunch or dinner, it’s always smart to serve a full meal. Meals can be traditional, such as salads, chicken, and fish; or can be more creative, like breakfast for dinner or fried chicken in a waffle cone. Serving a full meal would also be a good opportunity for you to test out potential main courses for the big day. Top Tip: Be authentic. Whether you choose a traditional meal or a fun on-trend dish, make sure your food reflects your personalities and love story. 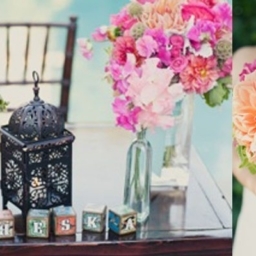 Engagement parties are a fun way to gather your loved ones and celebrate your love and decision to get married. Allow the caterers to help you plan that special occasion. Here at Eco Caters, we do just that. For more information, visit our website or contact us directly at info@ecocaters.com. We can’t wait to hear from you. 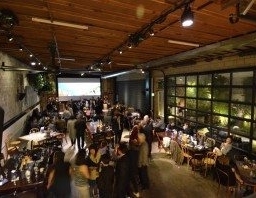 All Organic Los Angeles Wedding Catering & So Much More! Good Morning! I mean, I Do!